As you get a new property built up, you will need to plan your HVAC needs. A new HVAC system and duct setup will have to be planned to cover all parts of your property. This is to keep the space comfortable throughout the year as enough warm or cool air can easily get all around an entire spot. As you plan the HVAC setup for your new property, you will have to look around to see what you can get out of it. This is to give you a better organized arrangement that isn’t too hard to manage. More importantly, it helps you have an option that is properly planned out and capable of taking in enough air in any spot you are preparing. All the ducts in your property need to be planned out appropriately to make it easier for a property to have enough cool or warm air all around. Prepare your HVAC setup by organizing different plans for how ducts as to move to make it easier for the setup to work right. This in turn should make it easier for a property to feel its best. More importantly, this is to also see that you have figured out what will be installed in your property. The size of your property should be considered as well. You must think about getting an HVAC setup that is organized with a smart arrangement that is appropriate for your property based on the number of rooms you have to cool off or heat and the appropriate interior space involved. You must choose a setup that is strong enough to get through every individual room that you have to target. This is to help you get the most out of your space so it will be comfortable and easy to manage as you are trying to keep the air in a spot from being too muggy or otherwise difficult to manage. The process used for getting your HVAC system running well should be checked properly. Many of today’s top models are designed to work with less energy but some others may be made with more efficient designs that use solar energy. You must check carefully to see that you have a choice that fits in well for your property and your budget. That is, it needs to be one that you know you can afford to manage based on how it works and how it generates energy in an efficient manner. 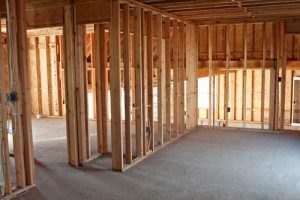 Be certain when getting an HVAC setup for new construction projects ready that you are fully aware of how well it will stay organized and ready for use in your space. You must choose a proper setup that is easy to set up and will cover enough spaces in your property without being too complicated. Check carefully to see what you are looking for when finding a smart and sensible option for your use.